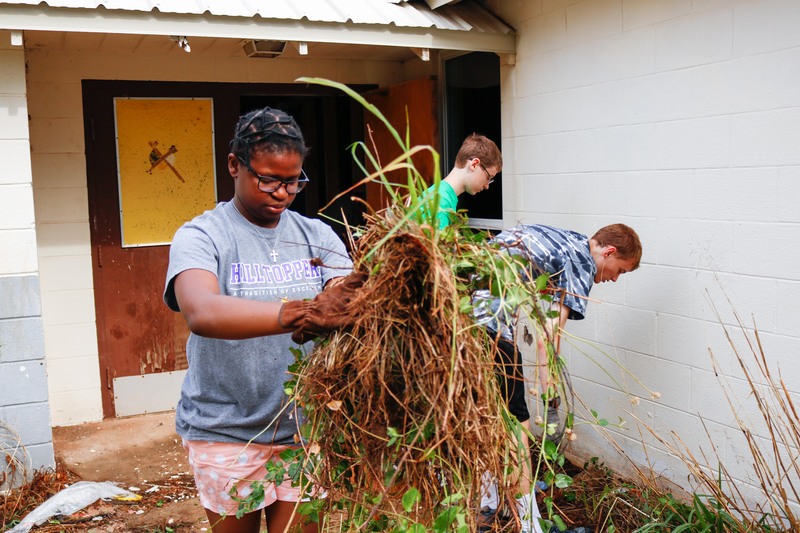 Lydia Ojo (pictured) was part of a student mission team from St. Matthews Baptist Church in Louisville, Ky. The team participated in a mission trip at All Tribes Baptist Church in Geary, Okla. The team from St. Matthews repainted the exterior, stripped tile from floors, removed a wall, hauled off debris and landscaped. All Tribes Baptist is a member of the Oklahoma Indian American Baptist Association and one of three Native American congregations in western Oklahoma that participate in a partnership with the Cooperating Baptist Fellowship of Oklahoma. CBF of Oklahoma coordinated the project. Pictured: Bekah Tatro and youth pastor Brian Johnson. 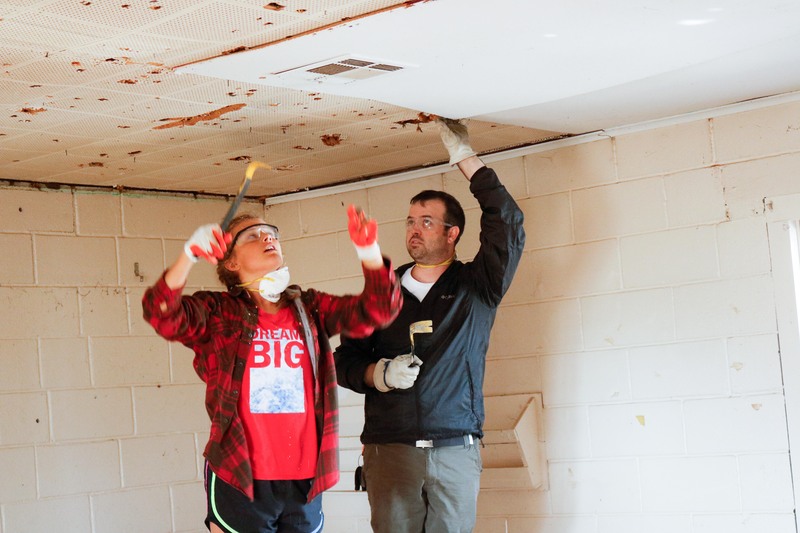 Sarah Wetherington, a student from St. Matthews, helps to repaint All Tribes church. Quinton Roman Nose, a lay leader of the Oklahoma Indian American Baptist Association and member of Watonga Indian Baptist Church in Watonga; Waylan Upchego, pastor of All Tribes Baptist Church in Geary; Steve Graham, coordinator of CBF of Oklahoma. Marv Knox is the field coordinator for Fellowship Southwest. Reach him at mknox@cbf.net.